Australian experts are concerned about the threat of a new type of drug-resistant pandemic flu that is circulating in the population at large. The swine flu strain has learned how to dodge the antiviral drug Tamiflu and is emerging outside of hospitals. The team who have studied it say the virus is "fitter" than other drug-resistant strains and the world should be on alert for outbreaks. UK experts say they have seen a handful of similar cases. The UK's Health Protection Agency said it would be closely monitoring the situation. The Australian investigators presented their findings at a meeting on major infectious diseases. 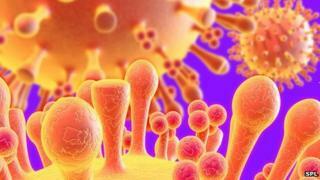 Why can’t we beat viruses? Experts at the Annual Scientific Meeting of the Australasian Society for Infectious Diseases heard how the 'H1N1pdm09' swine flu virus is still sensitive to another antiviral drug Relenza (zanamivir). But Tamiflu (oseltamivir) is now powerless against the strain that has been found in people in the community rather than sick patients with serious underlying conditions and weak immune systems. Vaccines can prevent infection occurring in the first place. Lead investigator Dr Aeron Hurt, from the World Health Organization Collaborating Centre for Reference and Research on Influenza in Melbourne, said: "The greatest concern is that these resistant viruses could spread globally, similar to that seen in 2008 when the former seasonal H1N1 virus developed oseltamivir resistance and spread worldwide in less than 12 months." The new strain that they have been examining is emerging among people who have never been treated with Tamiflu, suggesting it is very good at spreading from person to person. Dr Hurt says animal studies by his team confirm this. Although the Tamiflu-resistant strain is still relatively rare, affecting about 2% of people with swine flu in the Australian population that they studied, Dr Hurt is concerned that it has the potential to turn global. Similar resistant strains have been detected in Europe but at this stage only on an ad hoc basis, says Dr Hurt. "The widespread transmission and circulation of oseltamivir-resistant H1N1pdm09 viruses remains a risk in the future. "Close monitoring of resistant viruses in both treated and community patients remains important." In the UK, the HPA has recorded eight cases of oseltamivir-resistant H1N1pdm09 in the community setting. The HPA's head of flu surveillance Dr Richard Pebody said: "While the frequency of oseltamivir resistance in community settings has increased slightly since the 2009-10 pandemic from 1-2% in the 2012/13 flu season, rates of detection remain low." Swine flu (H1N1) infected a fifth of people during the first year of the pandemic in 2009, data suggest. It is thought the virus killed 200,000 people globally. Although the pandemic has been declared by officials as over, the virus is still circulating. During the pandemic, the H1N1 virus crowded out other influenza viruses to become the dominant virus. This is no longer the case. Many countries are reporting a mix of influenza viruses.